Disclosure: I got this product, a silicone baking mat, as part of an advertorial. I have been baking a lot over the last six months. I don’t know what has gotten into me! Maybe it’s this blog. Maybe it’s my preschool homeschool activities, or maybe it’s just my need to be more creative in the kitchen. As I find recipes online, I’ve noticed more and more people using parchment paper on their baking sheets. Hmmm? My mom never did this. I’ve never even knew the idea exisited until recently. Is that bad? Maybe it’s the greenie in me thinking about that paper waste. When I was offered to try out a Silicone Baking Mat, I said Yes! I want to be a baker and see what this non-stick business is about. Reusable sheets that are bpa-free? Yes please! Bake on it, freeze it, refrigerate on it and roast on it! The first time I tested it out was when I was making homemade pizza rolls. I needed a surface that my wontons wouldn’t stick to and the silicone mat worked perfect! I moved into the freezer to harden my rolls before frying and I was quite impressed with my new kitchen gadget and I wasn’t even baking with it yet! You Do Not Need Oil, Butter, Cooking Spray or Parchment Paper with These Mats. Use as is. Do you know what an awesome feature is that I didn’t even think about until I researching my info for this post? They protect your pans too! If your baking sheets are like mine…they are turning brown and black and gross. It really affects the way our cookies are baked. This silicone mat not only protects your pans to keep in good condition, but helps with heat distribution for your baked goods. I made my Healthy Breakfast Cookies on them. The leftover banana base left them quite a mess, but that is okay! Grabbed my silicone sheet and took it over to the sink where I wiped it down with soap and hot water. Viola! Mess gone. No more using my fingertips to scrap off the last hard chunks. This is a breeze! Updated to add this particular product seems to be discontinued, but Amazon carries many brands and I highly recommend one. I use mine all the time! WIN this Baking Pan & Silicone Baking Mat! Amazon links are affiliate. Thank you for supporting me! I received these items for free for review and all opinions are my own. Whole Foods Market Partnering with Vitamin Angels Giveaway! i used one at a friend shouse and got hooked, but just havent bought any! I have not used one before but think it would be great to have. I might bake more. Thanks for the contest. No I have not, this is my first time seeing it. No I have never tried It ,but I would like to. My parent have a mat like this and when I was last at their home baking for the holidays, used it and loved it! I've been wanting one...they work great! I have never used a mat like this so I would love to try it out! I have a small mat like this and love it! Cookies slide off of it practically. I have never used a mat like this and yes, have thought about it, thanks! I have heard of them but haven't used them yet. I would love this so I don't have to clean cookie sheets all the time! I would love to give this mat a try! I have wanted to try a silicone mat but I haven't bought one yet. I liked your review. It made me want to get one now. Both my MIL and SIL have these. I really want some but since we need several for our family's size, they are not in budget. We have and use parchment paper on occasion. It is great for when making something like a giant, plate-sized gingerbread man. We just roll and cut the gingerbread man right on the parchment paper. It is much easier to move the giant cookie to the baking pan on the paper too. I've used one of these before at an old job, and I've got to say- they're AWESOME!!! I really, really want one to use at home. No sticking EVER!! I have one cookie sheet that always seems to burn the bottom of the cookies so I'm always adjusting time for that one. Would love to see if these would correct that problem. I haven't used one myself, but my son has a Silpat one and loves it! I would love to have one to try. I could make cookies without having to scrap them off of the pan!! I make oatmeal breakfast cookies every week for Hubz' lunch---I would LOVE to have this. I have never used a mat like this... closest thing would have to be wax paper. This is the first I have heard of a baking mat! Pretty awesome. I have thought of buying parchment paper, But I Like the Mat Idea Better. Keep my fingers crossed!! I have been thinking about getting a silicone mat. I have a silicone loaf pan and I love it. I don't own won so I hope I win b/c it would be such a helpful tool for baking! I have never used a mat like this but I'd like to try it out. I haven't used a mat like this before. I do have silicon baking items though. I have a cupcake, and bundt cake silicon pans. Thanks for the chance! I haven't used one before but I've been wanting to try one. I was looking at some on amazon a couple weeks ago. I've never used a silicone mat but have often wondered how well it worked. Would love to give it a try! I have never used a mat like this but sure would love to give it a try! My girls love to bake and even better - they love to eat what they bake! No I have never used a mat like this; however, I would love to try it! i have only seen them but would like to try it. I have not used a mat before but I've heard they are very helpful. Don't have one, but would love to try one & see how good they work. I've seen them and they look amazing. I would love to try one! Thanks for the chance! I have never saw a mat like this but I have heard of them and wanted to see what they looked like. I haven`t used a baking mat, I have recently just purchased parchment paper though. I have never used a silicone baking mat but I would love to try one. i have use the,and i absolutly love them!! I have never used a mat, but I love how easy it is to clean up after using it. I've seen them before and have thought about trying one. Would love to try one of these mats, parchment paper is expensive. I have tried these products. Someone gave me one of these at my bridal shower. I really like these. I just bought some right after Christmas. Now I just need cookie sheets that will fit the medium and large size ones! LOL I love the 1/4 sheet one but it is so small! I love to bake and these look fantastic! Would bake baking so much easier than greasy a cookie sheet. I have used this type of mat before! They are awesome for baking cookies!! I have not used a mat. I think these are such a neat idea. No butter or Pam or oil... yippee! Much healthier. Thanks for the giveaway. I used to have one, but don't anymore. Love to give it another try! i love these mats. i have one but it has a small crack in it. i would love a new one! I have never used one. Best I do is parchment paper WHEN I remember! Have not used one, but they look great! I have thought about the mats and I've seen them used. They do make the baked goods nice. I have'n't tried it yet because I just haven't gotten around to buying them. I have thought about using a silicone baking mat but never have. I heard they are really nice. I have not used one, but think I would like to. Have never used one, but I see where they could really come in handy. I usually use parchment paper. This would be nice to have. No, I haven't used this before but have wanted to. It would be nice especially for the clean ups! 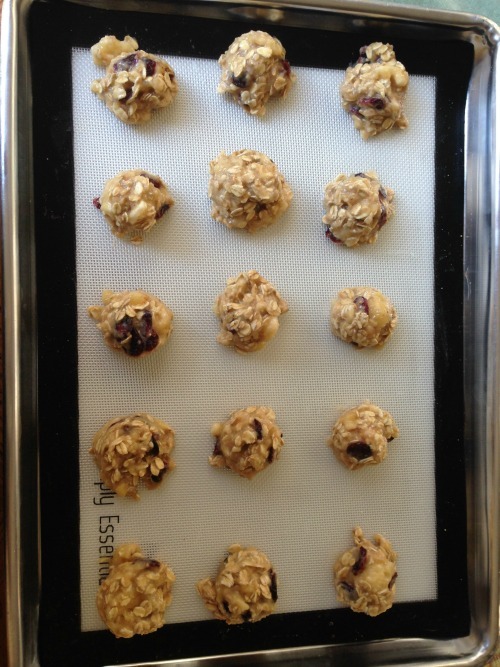 I have not used a mat like this but I would love to give it a try with my homemade cookies! I haven't used one before but I've been wanting to try it. I think it will be better in the long run for the environment! Yes & I love them! I haven't used a mat like this. I too use parchment paper. I haven't used one of these but would love to try it! No i haven't but they look handy ! I have not used of of these and would like to try it. I've never used a mat like this, but I've certainly thought about it. I use parchment paper right now, but it's wasteful, so this might be a good alternative. Thanks for the giveaway!! I own one but it's decrepit! I haven't used a mat like this before, but I've seen ones like it on many food blogs! I have never used one and never thought about it. I guess I didn't really know about it but it looks useful, for sure. I have never used one although I gave me similar to my daughter one Christmas. I'm not sure I've heard if she uses it. I have used mats like this before! Haven't used one before but I have friends who do and I've wanted one for a while. No I haven't ever used one before. I think I would love to try these. My mother swears by silpat, she uses it for everything. I would love to test this out! Never used a mat like this but have thought about it. I have never used a mat like this but I have wanted one. I have never used a mat like this before, but have thought about it.Pieces of cookies always stick to the pan and the pans are hard to clean. I've never used one and would like to try it! I have never used a mat like this, but I keep wanting to . I haven't used one like this before, but it looks pretty groovy. My sister has one of these and it works great! It makes your baked goods come out so nice! I used parchment paper at work daily, but I have never used a mat at home. I sure would like to try it. I love silicone bakeware. I have a bundt pan, muffin pan, loaf pan, and biscuit/cake pan but, not a mat. I've researched silicon baking mats and have wanted to buy one to try and compare the finished results with the common no-grease baking pan + parchment paper. I have not used this but I would like to try one. I have never used one before but I love to bake so I think this would be very useful! I have never used anything like this before but it looks really awesome! I'd love to have/try one! I don't even think I currently have a Cookie sheet.. I have used a mat before. I liked it. I haven't used one of these yet but I've really been thinking about it and would love to make my clean up routine a little easier! I have one silicone mat and I LOVE it. I would love to try one of these mats! I have one for my halfsheet pan, but need one for my jelly roll pans. I have always wanted one like this. I had a thicker, colored silicone one (kind of like the silicone cake pans or muffin pans you can get), but it got discolored very quickly and didn't work as well as I expected. Never used one but have been eyeing for a very long time! I have always wanted go try this! I have cupcake cups but not a mat. I had something like this for cupcakes, and let my sister borrow it. Sadly, that was the last time I saw it - she kept it because she liked it so much.....but, that's OK - I get free cupcakes now. I bake a lot and would love to try one of these! I have never had one but have wanted one for a long time. A great Idea to have and to use! I think that it would be an easier clean up for me. I recently bought one and love it. I'd love to have another one! I've never used silicone mats before but want to! Several friends have these mats and I am so jealous! Yes, I have used a silicone mat and they are fantastic! I have 3 Silpat sheets that are at least 10 years old and still work perfectly. LOVE them. They are also one of my favorite gifts to give. I haven't used one before, but would love to try one out. I have not used a mat. I was wanting to try one. Everyone that has one says they work great. I didn't even know mats like these existed until now. I have yet to have anything like this before. It's amazing how far cooking and baking items have improved. I would love to have one. I have not used a mat like this before, but I would really love to try it! I've wanted a baking mat like this for ages! I have not tried a mat like this before, but I would love to try it out. I have a small mat my mom gave me, but I really don't remember to use it! And you do need more than one, right? I haven't used a silicone baking mat before, but have thought about it - I'd love to give it a try. Have not tried it yet - we could really use this. Thanks! I've never used a silicone mat before. It seems and sounds like an ideal "must have" for the kitchen. I never have used a mat like this, but would love to try it! I bake a lot of cookies for my boys. I use a baking mat when I make anything messy and it cleans right off. I would love a second one to make batches of cookies. I've never used a mat like this... I never knew such a thing existed, but I would LOVE to try it!! I haven't used one have always wanted to try one. I have never used a mat like this. It sure makes it look easy for cleanup. I'm all for easy clean up. I have not used one like this, but am excited too! I have not but I have seen them before and have always wanted to have one!! I have not used a mat like this, and I'm curious to how well it works. I use parchment paper. I've never tried one of these before,but I would love too. I never tried them before. I have used them and they are so easy and convenient! Love to have them added to my baking collection. I have used a cheap version of this mat. It doesn't hold up at all. I'd love to have this one. I have never used a baking mat but would love to try one. I usually use parchment paper for my baking needs. I'd love to try these mats to see how they compare. Thanks. Well, I have heard about them but never had the chance to save-up to afford to buy one! I'd be very honored to win / use one for that of the items I love to bake. If I do when it will be shared with that of my Boy Scout troop in hopes to raise $$ to buy new gear for those that otherwise cant afford such items. At the same time, I am recovering from a serious accident and I often can use all the support / items I can to make life easier.... I cant recall the last time I ever won anything in my life but I'll keep registering hoping that I might win a makeover, new set of pots / pans, camping gear, wardrobe etc. I have never used a mat like this before, but it looks much better than wax paper or aluminum foil! I have been wanting to bake with these mats. I have a mat similar to this one & I LOVE it. I'd love to have another because I do so much baking! No, I have never used one before, I would like to though. I haven't used one before but I'd love to have one. I have one for the grill and really like it. Never used one before but would love to try it. I have not used a silicon mat for baking but I've always wanted to try due to the great things my friends say about theirs. I have never used one but love to win one and try it. I have never used one but would definitely love to try it out. I think I would love to use this mat instead of the parchment paper. Saves because you don't waste the paper. I've never tried this, but would love to. I have one, but it's too big for all my pans so I rarely use it. I have never used one but have wanted to.I just could never justify spending the money and not knowing if it would really work.My 4 kids and I cook a lot together. I haven't used a mat like this but I have seen them used. These are great, nothing sticks to them. I have never used a mat before, but I would love to! I have never used a mat but it sounds like something that I would love. I've heard good things about mats like this, but I haven't tried it yet! I've always wanted to try this because I do a lot of baking! I am constantly going through rolls of parchment paper which can get expensive. I have never used a silicone baking mat before, but I would love to try it. I haven't tried one but I've been wanting to. I have never tried these mats before. But, I love to bake so I would love to try these mats! I haven't used a mat like this but it sounds great. 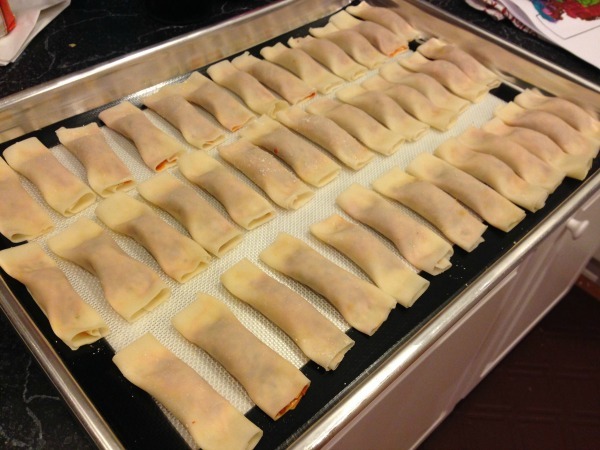 Thanks for the giveaway…we have never used a baking mat, but we would like to give it a try ! I usually use parchment - this would be a money saver. I have never used a mat like this! I am very excited to try one. I have been very impressed with the silicone products I have used in the past!